The San Francisco Bay area is full of world-class trails. But perhaps none matches the history and notoriety of the Dipsea Trail, which runs from the tiny Marin County enclave of Mill Valley all the way to the Pacific Ocean, crossing through simply stunning California landscapes. But don’t let the trail’s quirky, whimsical name fool you: The approximately seven-mile stretch is a doozy, with nearly 688 steps—in the first mile—and long uphill stretches for nearly 2,000 feet in total elevation gain. Just make sure you have the right hiking boots or you’ll be in for a tough time—La Sportiva’s FC 4.0 GTX boots from REI are a great option. Even so, the rewards are well worth the effort: glorious roller coaster sections through fairytale-like forests, flowy singletrack among majestic redwoods and coastal landscapes, and sweeping views of the Pacific. For any Bay Area visitor or local, the Dipsea is a must-do rite of passage. Each mile markers along the approximately 7-mile trail feels like a victory. In addition, the Dipsea Race , which takes places on the trail and is the world’s oldest trail race, has serious cache in trail running circles. In 1905, a group of men from San Francisco’s Olympic Club made a bet to see who could make it from Mill Valley to Stinson Beach by whichever route they chose. Today, thousands of runners vie for one of the highly sought after 1,500 entry slots. The race retains the same quirky spirit—it features a handicapping system that favors older and younger runners and women—of its origins. But, since the event is limited to 1,500 entrants—and not everyone relishes the idea of battling the trail’s hills, roots, ruts (not to mention, hundreds of other runners)—a hike along the Dipsea is an equally enjoyable way to experience this (in? )famous trail. 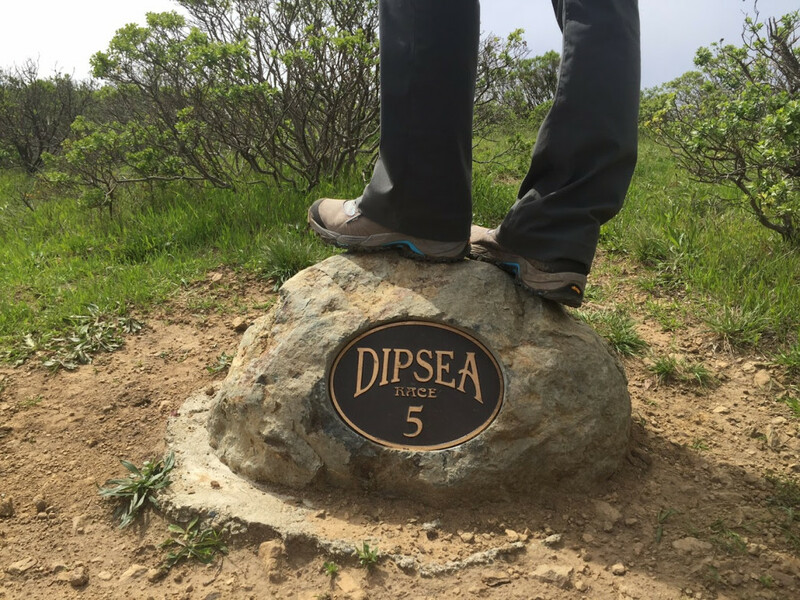 And with that, here’s how to do the Dipsea. 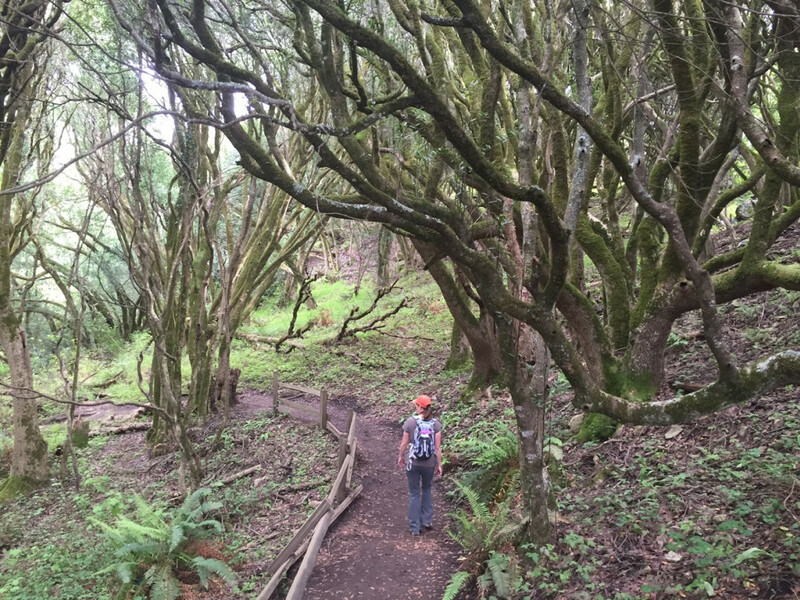 You can pick up the trail from several places in Mount Tamalpais State Park. 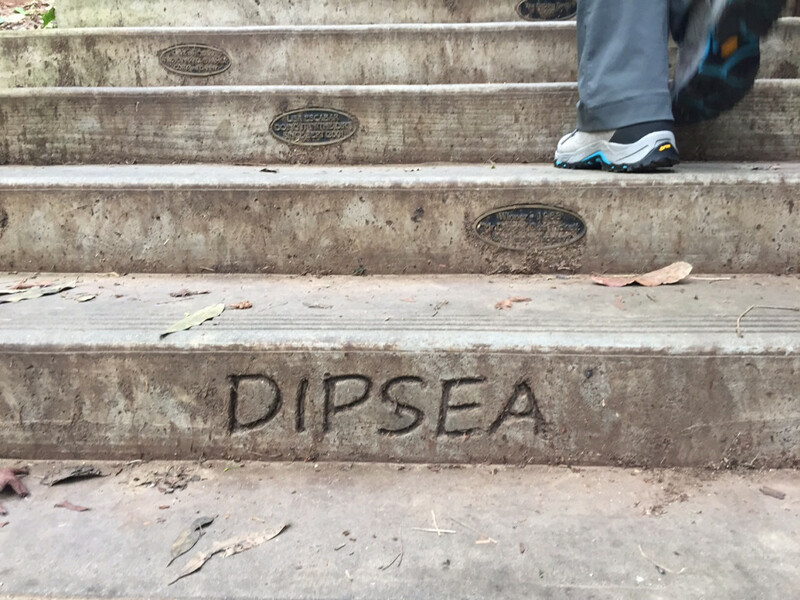 But to experience the true essence of the Dipsea, you’ll want to start from the infamous Dipsea stairs that originate in Mill Valley. Parking is fairly easy around Old Mill Park just past downtown; from there, look for the first set of stairs that looks more like a driveway just past the playground and next to the traffic circle. Then start climbing: This is the first of three sets of nearly 700 wooden and stone stairs. The plaques on the steps honoring previous Dipsea winners and participants, as well as the unexpected route through a neighborhood of homes that feel more like treehouses, provide a slight distraction from the climbing. After you huff and puff your way to the top of the first two sets, veer left onto the road and look out for the Dipsea signs leading the way. The trail meanders alongside a road for a brief stretch before making its way through a subdivision and to a closed gate, marked with a Dipsea sign (just a few steps farther, and you’ll see the first mile marker). The trail ascends through some forest before another road crossing (and it’s a busy one, so be careful) and then opens up to gorgeous, wide-open coastal views. But don’t get lured into complacency by the views: Savor the next mile or so of lovely, shaded singletrack while you can, as things are about to get much, much tougher. 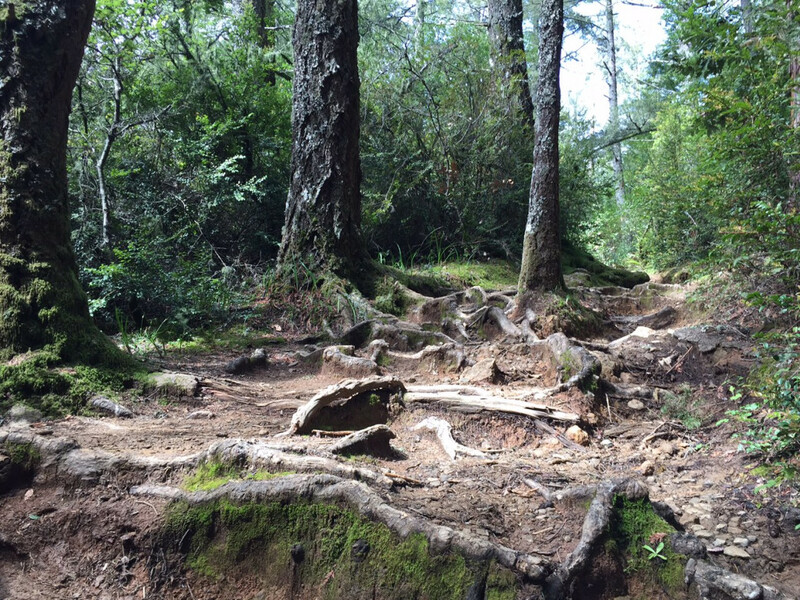 Roots, ruts, and hundreds of steps make for a highly technical trail. The trail eventually drops down into Muir Woods, where the hordes of tourists and cars battling for parking spots are a startling contrast from the serenity of the wilderness. Depending on the time of year, you may have to take a detour along Deer Park fire road (follow the main road left around the parking lot for about a quarter-mile and look for the trail on the right-hand side). There’s no sugar-coating the hot, steep slog up this route. The trail criss-crosses the fire road for quite a stretch; either one works. The trail is steeper in sections, but the fire road is more exposed, offering less shade in places. Some sections are especially technical: The tangled labyrinth of roots trip up many a hiker and trail runners, causing an untold number of sprained ankles. This notorious stretch, a 1,110-plus-foot climb from Muir Woods to the high point of the trail at 1,368 feet, is known as Cardiac, and indeed, your heart will be pumping by the time you get to the top. Catch your breath at the summit while you gaze at the Pacific, and take comfort in knowing that it’s (mostly) downhill from here. Some of the most scenic parts of the trail, these stretches are brimming with Northern California delights: glimpses of the rugged coastline; babbling mountain streams (an especially welcome sight in the extended drought); magical, moss-covered redwoods. Meandering under the limbs, you half-expect to see an Ewok peeking from around a tree. At around the 5.5-mile mark, the downward steps start. While descending the dozens of steps, some especially steep, might seem like a welcome option to climbing them, your already-weary quads will really start talking to you at this point. Just after crossing a picturesque footbridge, the trail comes to a junction; head left and continue to follow the signs for Stinson Beach. You might pick up the pace once you see the Mile 6 marker, but be sure to save some energy for Insult: an aptly named final ascent on the open coastal landscape. Mercifully, it’s a short stint. Make it to Mile 7 marker, and you’re home free. At this point, you’ll see many hikers heading the other way up the trail—but you’ve got an easy 0.4 miles until your excursion is over. Once you arrive at the quirky little town of Stinson Beach, follow the hikers and hippies to the beach for an obligatory toe-dip into the Pacific. Then it’s time for a culinary reward: ice cream or baked treats at the Parkside Cafe (which also houses a casual restaurant), or a burger and a pint at a local bar like the Sand Dollar. Toast your accomplishment with your fellow hikers—you’ve done the Dipsea. 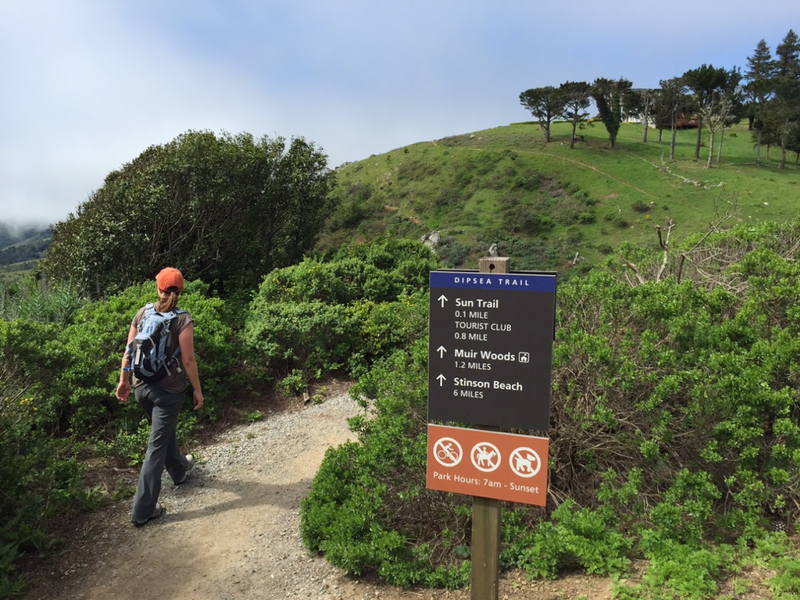 Since it’s a point-to-point trail, you’ll need to either leave a car at Stinson Beach for your return trip, or take the Marin Transit shuttle (No. 61) back to Mill Valley (or wherever you started from). While convenient and cheap ($2 per person), the shuttle usually fills up and you may have to stand, which, considering the winding coastal highway, is a workout in itself. You’ll also have to walk about a mile back down the stairs to get to downtown Mill Valley. While the Dipsea Race fills up fast, there’s another option to run the famous trail, but it’s probably gonna hurt: The Double Dipsea, a 13.7-mile grind that runs the course from Stinson Beach to Mill Valley and back, with 4,500 feet of total elevation gain.